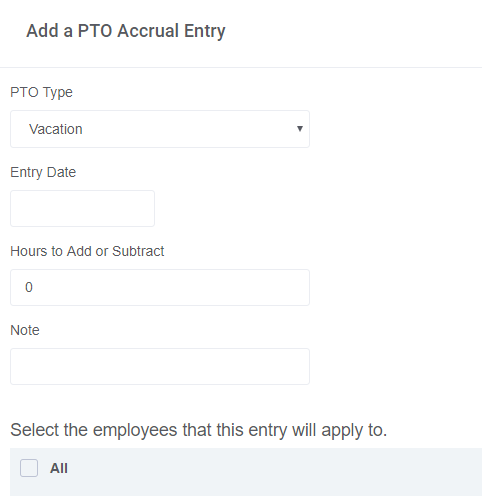 How do I enable and use PTO Accruals? You can manually add in accrual amounts for employees, or automatically have it accrue. Employees can view their totals and availability. From here you can add a rule of when PTO accrues. Rules can be applied to all or a sub-set of employees. Click on "Add a New PTO Accrual Rule." 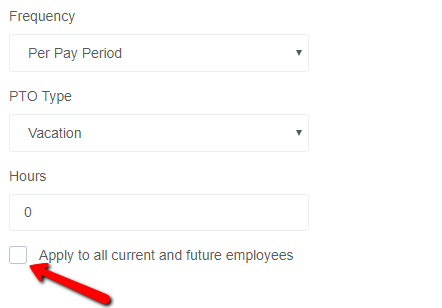 You can now add a one time entry to all or a subset of employees. This is a one time entry.